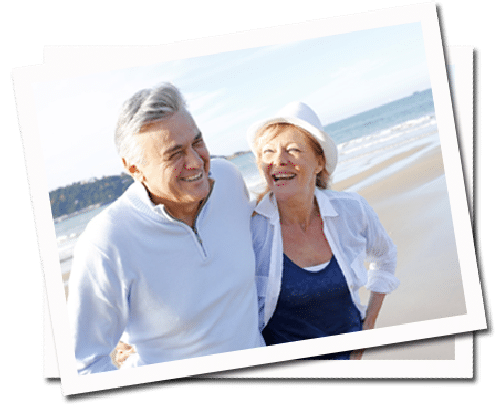 The Konnekt Videophone, a simple seniors phone ideal for the elderly, is designed to give older adults a better quality of life. SEE your family and friends as often as you like, without the travel. Live independently but still be part of the family. See your relatives on vacations, at special occasions, and any time you can’t be there in person. Watch your grandkids grow. Talk face-to-face to loved ones as often as you want, and bring a smile to those too far away to visit. Be with them “virtually”, from the comfort of your own home – during their meal times, while the grandkids play games, or even when they’re watching TV or cooking. The Konnekt Seniors Video Phone is incredibly EASY to use, with one-touch calling. It’s LOUD, has large call buttons and a big 15-inch screen. To make a face-to-face call to your daughter “Amy”, for example, simply TOUCH the huge “Amy” button on the Videophone screen. That’s it! Within seconds, you’ll see and talk to each other as if you were in the same room. There are no numbers to remember. No computer skills are required, whatsoever. There’s no keyboard or mouse, no logins or password. There’s nothing to plug in, switch on, charge up or hold onto. It’s just ON, like your phone – but MUCH simpler to use. Your kids, grandkids and friends probably already have a mobile phone, an iPad or tablet, or a computer. They can use any of those devices to talk to you on your Videophone, face-to-face, using the free Skype app. And when they call you, you’ll instantly see their name in BIG letters. Just touch the huge ANSWER button, and you’ll see and talk to your caller as if you’re in the same room. And you can talk to your older friends on their landline telephones, too, and save money on regular phone bills. Konnekt does EVERYTHING: Setup, personalization, delivery, support… we even test with your family and friends to help ensure each and every call will be incredibly good. In Australia, we can do custom installation and Internet. Simply call or email us for help or to make changes remotely. We personalize buttons and messages, in any language, and customize ringing durations and auto-answer for trusted carers. Konnekt Seniors Phone is used by the elderly living at home or in Aged Care. What are you waiting for? Find out about our no-obligation 30-day trial now. Our seniors phone is ideal for older adults, retired seniors, pensioners, elderly parents and grandparents. Take advantage of Internet communication without the complexity of a computer or iPad. Your family deserves it! The Konnekt Seniors Phone is a registered Assistive Technology, classed as a Communication Aid. It’s recognized as a powerful social tool for helping older adults connect to community, to regain control of their lives, and to remain living independently for longer. Safety is increased too: Videophone blocks scammers, telemarketers and other unknown callers. It also lets trusted, nominated family members and carers check in visually when there’s no answer or in an emergency. Over 65? Australia’s Home Care Package (HCP) and similar government programs in other countries may be able to fund a Konnekt Videophone for you. Contact Us to discuss how. LARGE 15-inch (38 cm) screen, easy to see from anywhere in the room. HUGE one-touch Call buttons. Incredibly simple. Friends and relatives can show photos from their computers to your Videophone while you talk. You do NOTHING! Just sit back and enjoy. No numbers to remember. Each Call button first calls your contact’s mobile / tablet / computer face-to-face, and then tries backup home / office landlines in turn. All with one touch. Reduce phone bills for you and your family.